Optimized Your customers are less hesitant, they understand better the contents of your menu, with the detail and the real pictures of your products. Automatic and real translations! with a NEW service Finish the laminated sheet in the rooms, now your customers consult a detailed menu and they order directly from their room. 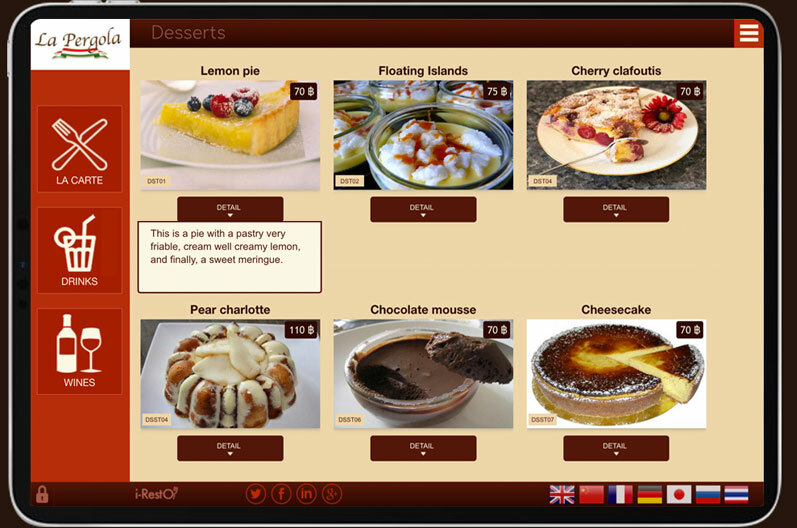 *i-RestO with the Order system version. 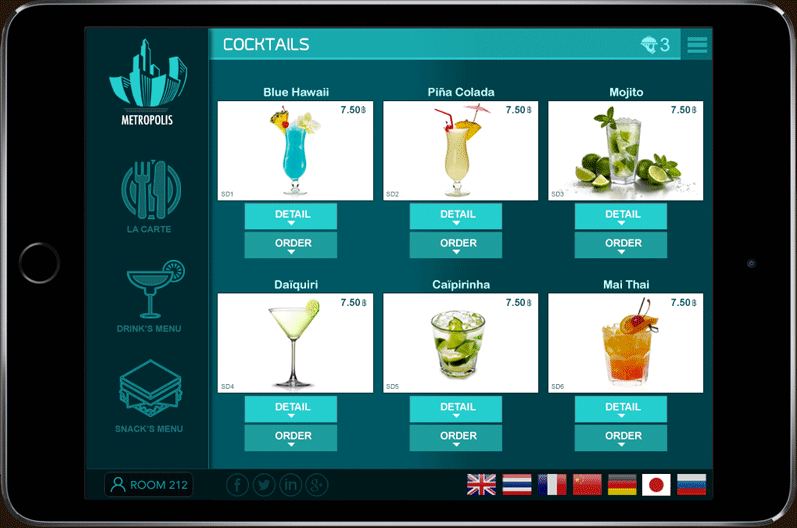 "Save time, money with optimized Menu"
With detail and pictures for each dish and each drink, to better publicize your know-how and your products. 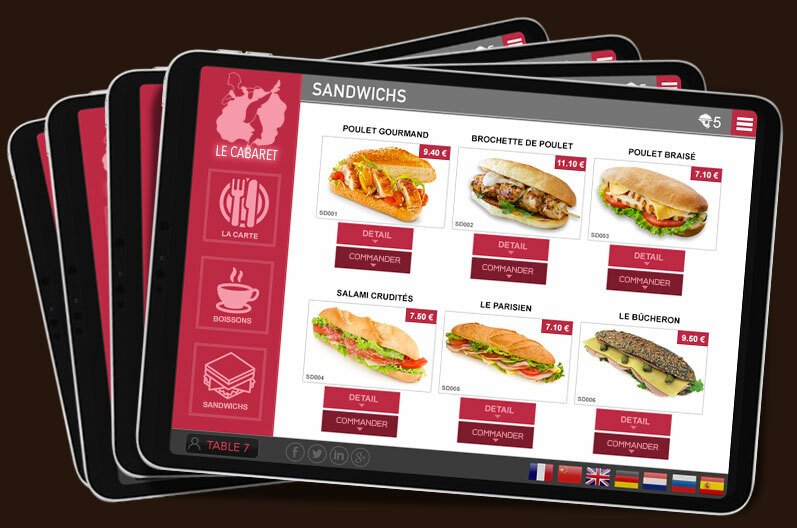 Optimize the relationship with your foreign customers, for more interest, less hesitation with an automatically translated system and / or with real translations of your menu. Be informed immediately on the availability of your products avoiding a possible disappointment of your customers. Give your customers the opportunity to make a reservation online. With what type of device? Since all devices connected to wifi, whether indoor, terrace, in rooms for hotels and any other place, making it an accessible communication tool for all. Yes, every i-RestO menu is made by a designer who adapts the visual of the menu by drawing inspiration from the graphic chart of the restaurant, or from the customer's request. Yes, even if it is not recommended. In this case the sticker of the restaurant logo replaces the images of the dish. Yes, the i-RestO Menu "ordering system" offers the possibility for your customers to order independently or only by the restaurant staff. Orders are sent to all types of connected devices that have the authorization. Orders can be taken from every table, every room. Secure access ensures that each order is related to a table, a room. ©2019 i-RestO all right reserved.